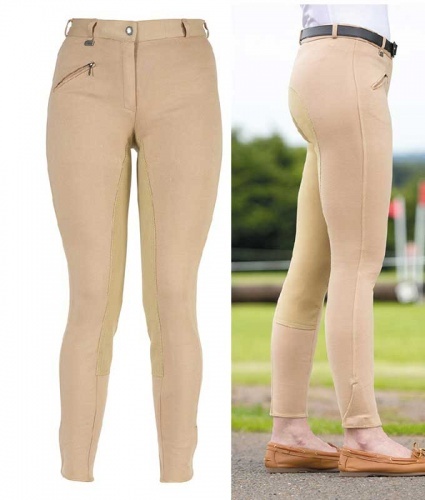 Aylesbury Ladies Knitted Breeches from Bridleway for a flattering smooth fit and the 4 way stretch fabric and flat lock seams offer superior comfort. Stretch synthetic suede contour seat and leg strappings for extra grip in the saddle. Design features include belt loops, a zip hip pocket.